San Diego County is probably one of the best regions to be active. With great weather and the beaches on one side, the mountains on another —it makes sense to want to be outside often. But what about your pups? If you’re a dog parent like me, you know it’s hard to find hikes that are friendly to our four-legged children. I’ve scoured the region in search of dog-friendly hikes and found plenty of spots. Here are my top 10 picks for dog-friendly hikes in San Diego County. One of my favorite hikes in San Diego County is Cowels Mountain because you can get a great workout in less than two hours. Plus, the views of the city of San Diego are great! 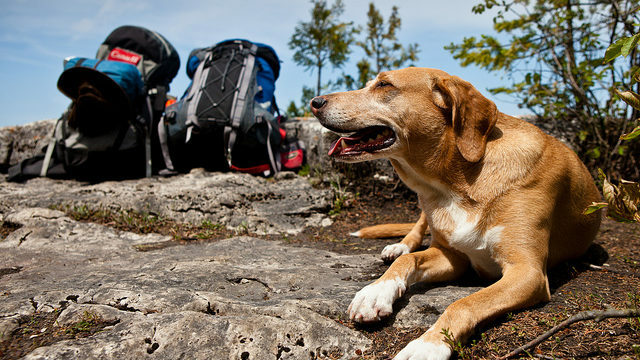 On top of that, this is a dog-friendly hike. It’s a 3-mile hike and is the highest point in San Diego at roughly 1,600 feet. A North County favorite, Double Peak starts at Discovery Lake and ends at Double Peak Park. It’s roughly a 5.6-mile trail and ends with a gorgeous view of North County. The top of the hike ends at 1,417 feet elevation and is accessible year-round. This seven-mile, moderate hike is located in the northern regions of the city of San Diego. The trail is on a flat trail but you and Filo can still break a sweat. Plus, there’s a waterfall along the hike. P Mountain is one of those hidden gems. Situated in San Marcos and across from Palomar College, this steep hike can be one mile or 2.5 miles if you take the longer trail. Once you hit the top, you’ll catch a great glimpse of North County. It’s steep so tread carefully, but it’s doable for the entire family. Tecolote Canyon Natural Park is an easy trail filled with beautiful wildflowers and the rest of what nature has to offer. The roughly four-mile hike is located in San Diego and is great for checking out nature. If you’re looking for a moderate hike, try Iron Mountain in Poway. The trail is 5.6 miles and isn’t just dog-friendly, but offers a gorgeous view of the North County city. Parts of the trail are steep so it offers a great workout too. Here’s an easy yet scenic trail for you and your four-legged buddy. San Elijo Lagoon offers several different trails ranging from .6 of a mile to two miles. Visitors are offered views of the marsh, flowers and lagoon no matter which road you take. Here’s a long hike for all the nature lovers. This 10-mile hike in Escondido takes you around a stunning lake. 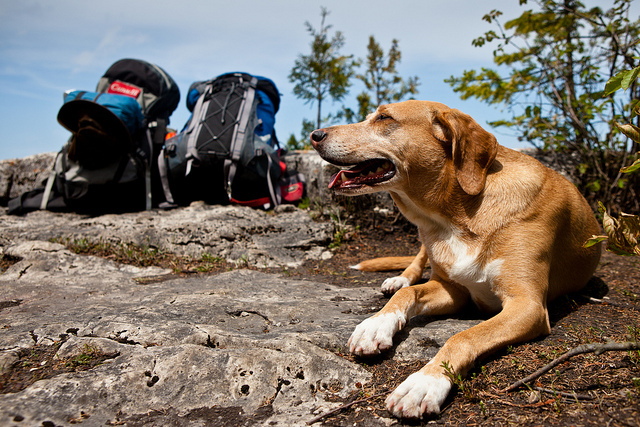 The climb is roughly 2,000 feet and is completely dog-friendly. The trail is open from October to December. A beautiful hike for those living in East County, Lake Murray is about 6.4 miles and is filled with numerous species of birds. The dog-friendly trail is not only peaceful but also offers picnic tables and benches for those wanting to take a break. Home to the popular Potato Chip Rock, Mount Woodson can either start in Poway or Ramona. If you’re beginning at Lake Poway, you can expect a 8.7-mile trek to the top where you catch plenty of views of North Inland County.